Formula One, also known as Formula 1 or F1, and officially referred to as the FIA Formula One World Championship, is the highest class of single seater racing sanctioned by the FIA. Formula One cars race at high speeds, up to 360 km/h (220 mph) with engines revving up to a formula-imposed limit of 18,000 rpm. The cars are capable of lateral acceleration in excess of 5 g in corners. 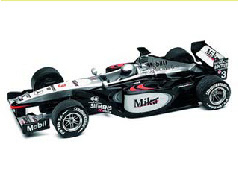 The performance of the cars is highly dependent on electronics, aerodynamics, suspension and tyres. I have been watching these races ever since I was a kid and decided I had to have a collection of newer and older Formula One slotcars. 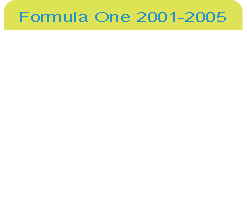 My first collection of Formula One slotcars from the 2001-2005 period - a magnificent grid of 20 cars so far! 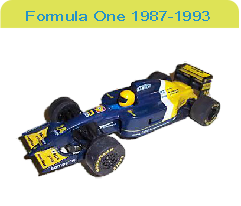 My second collection of Formula One slotcars from the 1987-1993 period - 13 cars by now. 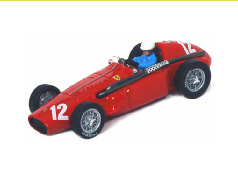 My friend Holger is a passionate collector of Formula One cars from the 1950-1960s period. He has made some remarkable articles about the cars and the timid drivers, which I like to share with you!